There is a way of getting all the goodness out of vegetables and fruit without having to actually eat them, and a Christchurch couple has the answer. Newlyweds Katie and Will Ross are behind the increasingly popular Greenroots Juicery. All of Greenroots Juicery’s juices are cold-pressed using ancient age-old techniques to create raw revitalizing juices. The cold-pressing process extracts the living enzymes, vitamins, and minerals from fruit, vegetables, and nuts. With a focus on wellness, the business came to life out of Katie’s own struggles with her health. Katie, a nutritionist had been searching for a way to put her skills into practice, and when she was given a cold-juicer as a birthday gift to help with her recent diagnosis with Coeliac disease, she found a massive improvement in her own health after drinking cold-pressed juices. She wanted to share this with the people of Christchurch. 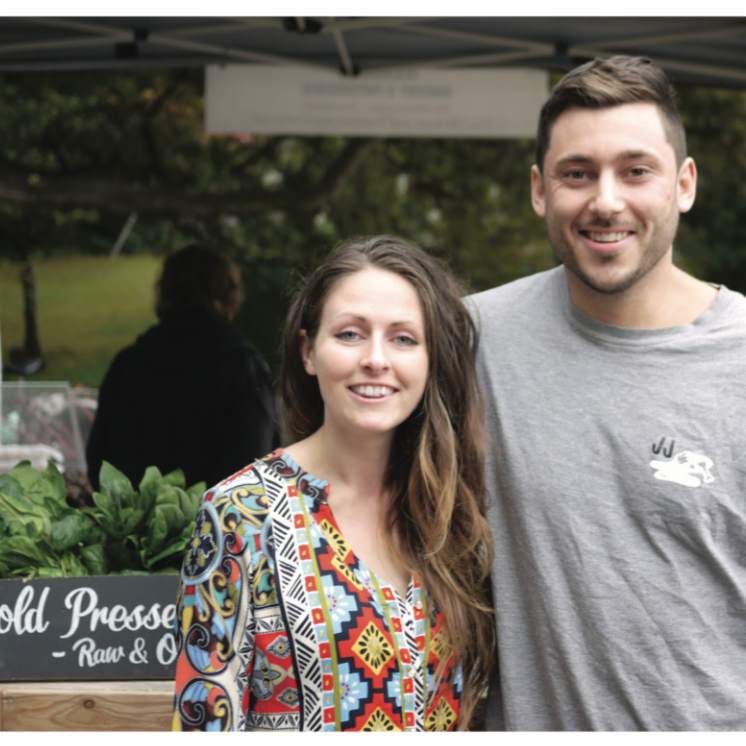 Starting at the Opawa and Riccarton Bush markets in 2014, Katie and accountant husband Will would get up at three in the morning to make the juices – of which all would sell out within an hour. As the popularity of their creations increased, the pair were being approached by businesses that wanted to stock their juices. Seeing the potential, the couple decided to go big and set up a factory. “We put all our life savings into a juicer from the States. We had a calling to do this mission,” Katie says. Katie wants everybody to be able to experience wellness and believes cold-pressed juices can help start that journey. When asked what wellness meant to her, Katie believes it is more than just physical. One of the Juicery’s signature products is the juice cleanse packs. With the aim of ‘resetting’ the body, the juice cleanses can be for a day or over a week. “There are seven bottles a day, with a mix of elixirs to aid wellbeing, to help the digestive system and increase mental clarity,” Katie says. About one kilogram of organic produce goes into each bottle, so you are definitely left full and the mix of minerals and vitamins in the juices add far more to the body than a traditional meal would. Katie and Will are one of the key tenants in the new health and wellbeing boutique The Welder, situated between Supreme Supreme and Atlas Quarter on Welles St. They will be joining hospitality, retail, and lifestyle businesses which all have a focus on wellness. 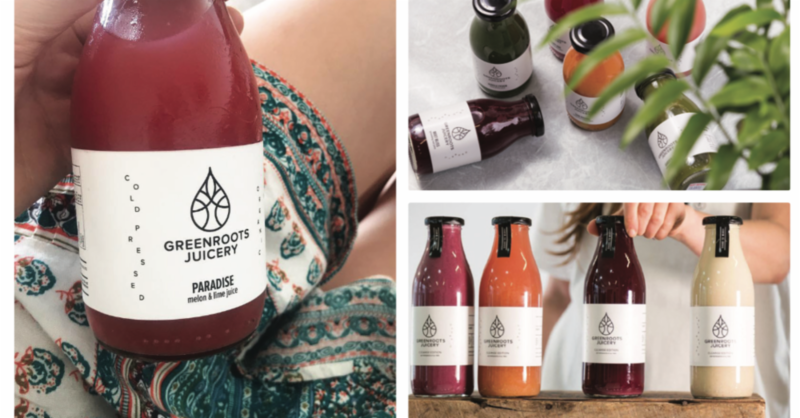 Their juice café at The Welder will become Greenroots Juicery’s flagship store and is expected to open in October this year.